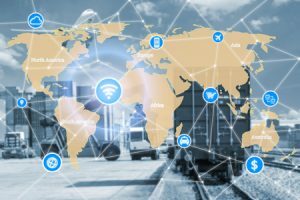 Cisco and DHL recently reported that IoT will make supply chains vastly more efficient and transparent leading to a $1.9 trillion impact on the supply chain and logistics sector. Nowhere will the benefits be greater than in the food industry, which loses about $160 billion a year in wasted food. The potential of connected technology to drive efficiencies by tracking the location of anything and monitor its state provides significant value to both suppliers and receivers. Achieving high levels of insight and access is a challenge, and it needs to be made simpler. The difficulty for almost any industry tasked with improving supply chains through connected technology comes in two areas: cost and accuracy. Necessary investment tends to be high, because of both reliability and coverage issues. If a piece of technology goes wrong, or moves out of range, tracking will go down and be rendered useless. Installation is also expensive, as each monitoring device needs to be built, installed and connected to a network. Particularly in food and fast-moving consumer goods, we’ve seen wide use of RFID and satellite-based tracking. Both of these are useful, but neither provide accurate and anywhere-in-the-world live monitoring. RFID relies on receivers at stocking and processing locations, and satellite tracking is expensive and can be unreliable. The alternative — tracking through mobile operator networks — makes more sense, but the challenge comes when the chosen network goes out of range, or the supply chain stretches across multiple countries — an even more expensive roaming SIM is required. Technologies in this space are sold on the basis of being always-on and data-driven, but unless you’re willing to pay expensive subscriptions to multiple network operators, this will never truly be the case. In some sectors, a lack of monitoring can be a serious issue. According to a study by the United Nations Organization for Alimentation and Agriculture, almost one-third of worldwide food production is lost — representing 1.3 billion tons, which would cover an area as big as Canada in farmed land. Imagine what could be achieved if all of this food could be relatively inexpensively monitored as it moves through global supply chains, alerting producers and receivers when food was near to being spoiled? By making IoT technology more affordable, mass adoption and therefore significant benefits could be achieved in supply chains across the globe. For larger enterprises, customer fulfillment rates are critical. Technology could both reduce risk and consequently cost. Ultimately, coverage and cost of implementation are going to be king for any technology to see wide-scale adoption. For IoT to be truly ubiquitous in supply chain, we need to see technologies which are both accurate and simple to implement. A lesser-known technology could provide a potential solution. USSD (Unstructured Supplementary Service Data) is a universal protocol which appears in all 2G, 3G, 4G and LTE mobile networks, providing a globally ubiquitous tool for the movement of data. The technology is network agnostic, meaning cost is also reduced, removing the need to agree contracts with multiple operators. To truly drive IoT adoption in the supply chain, we’re going to need an alternative approach to what we’ve seen in recent years. Costs need to be lowered and technology simplified. A company looking to develop an IoT service that involves communication with devices living on the edge of a network is simply faced with too many complex decisions at the moment, from how to connect through to the safety of that connection. With USSD, there is effectively no internet involved. Hacking is more difficult and costs can be saved in hardware with no need to install microprocessors, in turn reducing power demand in data transmission. Better supply chain management is critical to future success of businesses across multiple vertical sectors. A constant connection should be the minimum requirement for any technology, not simply an ideal or aim. USSD presents a compelling technology for future implementations of IoT services in the space, enabling a simple-to-configure, constant and reliable data transmission at an affordable cost. In short, better IoT products in the supply chain will provide a strong return on investment and enable a better-connected future for the management of the movement of assets. Ordering salmon for dinner at a San Francisco restaurant that was caught that morning in Alaska requires a lightning-fast and well-managed supply chain. By implementing a simple, low-cost IoT service, all supply chains could be so efficient and put more than a dent in the nearly $2 trillion wasted every year in the current supply chains.